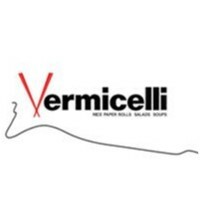 Vermicelli joined our Mission to help provide access to “Clean Water for All by 2030”. This Mission was initiated by the United Nations. A big thank you to Vermicelli’s team and customers for joining this extremely important mission on 01 March 2018. The concept of vermicelli was borne from a group of friends in corporate jobs based in the city wanting Vietnamese food for lunch. This was back in 2005, the dawn of the Vietnamese food explosion, when the only place for Vietnamese, particularly the now trendy “street food” Vietnamese, could only be found in Cabramatta. The only available Asian offering in the CBD were low grade, heavy and oily, and generally involved a fairly lengthy walk to Chinatown. Sick of sushi rolls and boring salads as a healthy alternative to lunch, we dreamt up tastier menus of grilled honey pork rice paper rolls, exotic goi ga salad (quintessentially Vietnamese with shredded poached chicken, cabbage, Vietnamese mint, finished in a ginger, lime and fish sauce dressing) and of course pho! What can be better than bringing a clean version of pho to the CBD? A decade on and vermicelli remains, one of the last few founding member of those early establishments bringing authentic, fresh and high quality Vietnamese food to the busy corporate lunch-timers. Whilst we may have a new look and feel to us – everyone needs an image overhaul from time to time, vermicelli still delivers the same fresh and delicate flavours we are known for, with our carefully planned menu of rice paper rolls, salads and soups of Asian influences.